2. 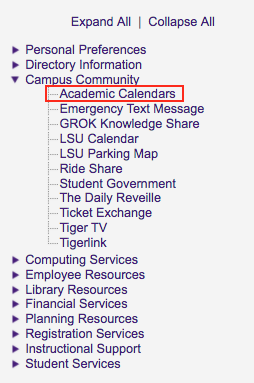 On the left hand side panel, click on Campus Community | Academic Calendars. 3. 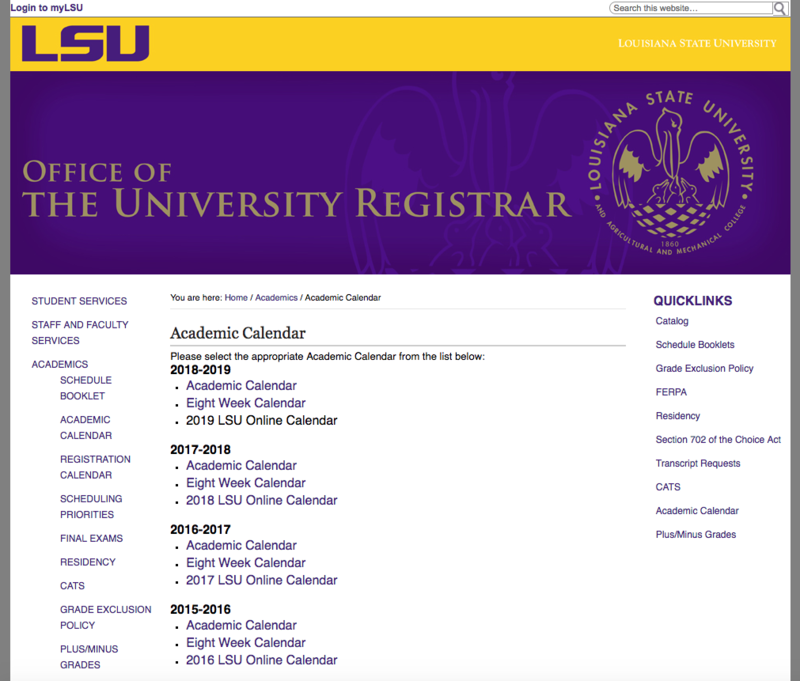 Click on the Academic Calendar that you would like to view.